This is one of the easiest sweet pudding recipe with very less ingredients. This is my family and mine sweet dish. You can have this pudding with paratha or with poori also. This is one of the popular dish from northern part of India. This dish is liked by all age group. It is traditionally prepared on Karva-chauth times, eaten as a part of Sargi by married women in the morning before the fast begins. 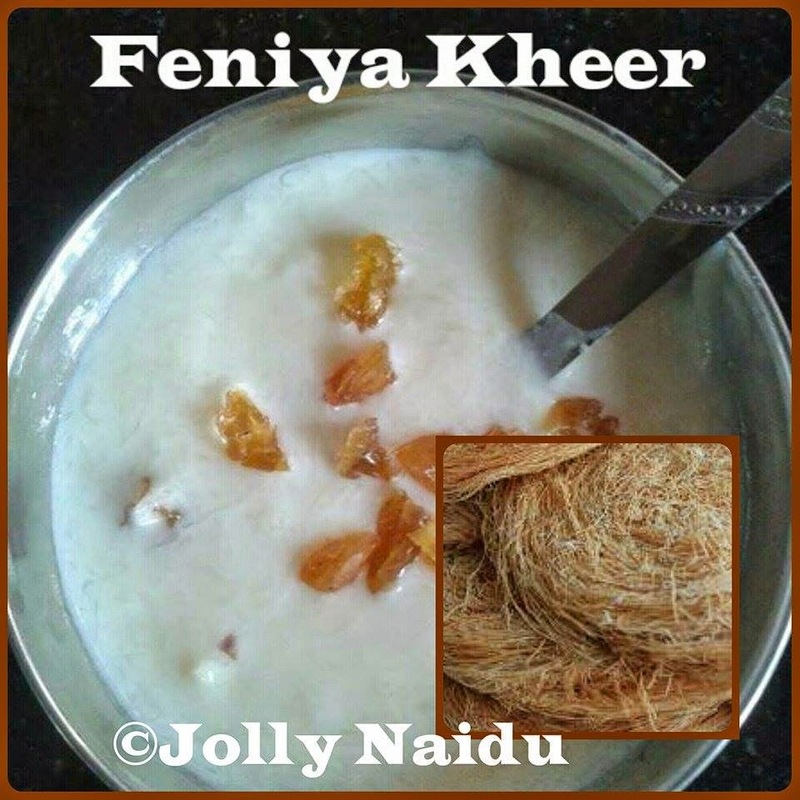 Feniyan is easily available in sweets shops. 1. Heat milk in a pan. Add feniyan and give one boil on a high flame. Then add sugar and stir continuously. 2. Give 3-4 boil again to kheer. Add chopped dry fruits. This, looks delicious, I will try it out. Thanks for the recipe.